No more scribbling dimensions on blocks of wood! 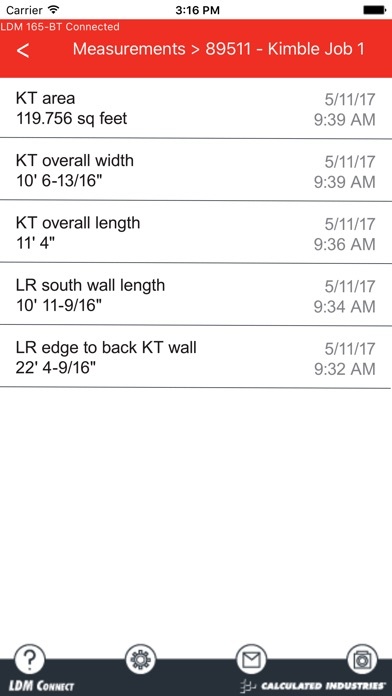 Let the new LDM Connect app free you from the tedious and error-prone task of recording onsite project dimensions and measurements by hand! 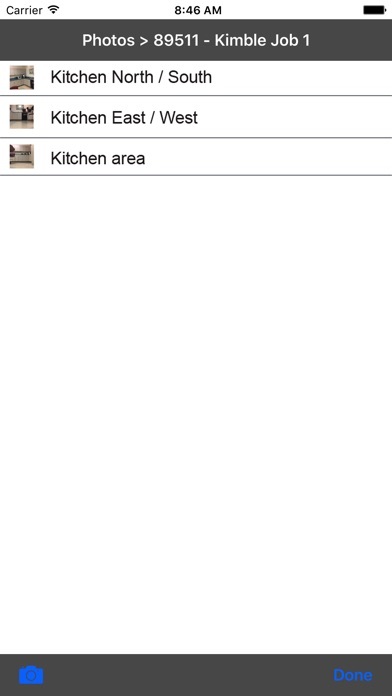 No more easy-to-lose scraps of wood or paper to find, store or track! LDM Connect keeps your productivity high by keeping measurements organized by Project, made clearer with Photos, and made instantly shareable via email to your crew or co-workers. 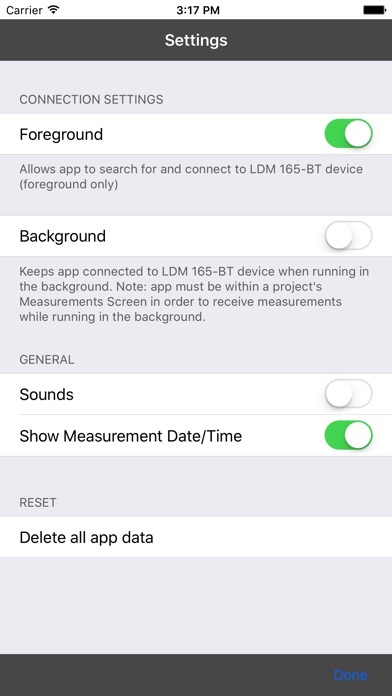 The app connects your Bluetooth enabled Laser Dimension Master 165-BT laser distance meter, by Calculated Industries, with your Apple mobile devices. The main screen shows your list of Projects. The number of projects you can create is limited only by your smart device’s available storage. 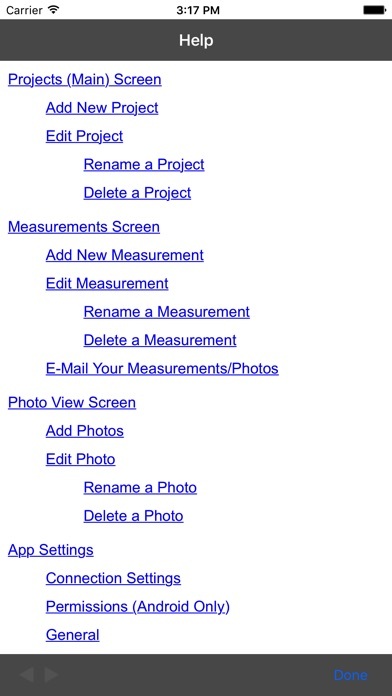 The number of Photos in a Project will be shown next to its name. 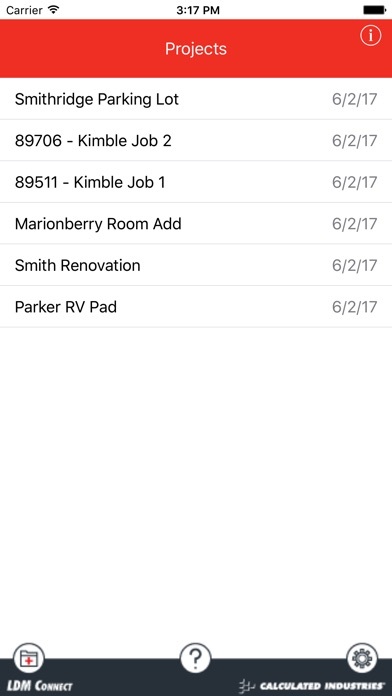 The Measurements taken within a Project are automatically saved with time/date and displayed with the most recent ones on top. Measurements and Photos can be added, edited, deleted and renamed or tagged with up to 25 characters for clarity (i.e., “south bedroom window”). Complete Projects with all Measurements and Photos can be emailed to your team for improved communication, productivity and record keeping. Additional notes, comments or questions can be included in the email to increase understanding and productivity. Improve the efficiency and accuracy of your jobsite measuring with Calculated Industries new Laser Dimension Master 165-BT and the new LDM Connect app! The Bluetooth® word mark and logos are registered trademarks owned by the Bluetooth SIG, Inc. and any use of such marks by Calculated Industries is under license. LDM Connect is a trademark of Calculated Industries. Calculated Industries® and Dimension Master® are both registered trademarks of Calculated Industries, Inc.